CoStore is a platform for building powerful, data-driven mobile applications, right from your browser. Using CoStore, you can build mobile applications that leverage your data, making it available on-the-go where it is needed. CoStore hides the technical issues and simplifies the development, maintenance and availability of your application. CoStore understands many file formats, and importing your data into CoStore is usually a one-click action. Our database can handle the smallest to the largest data sets. Simply drag-and-drop elements such as tables, charts, and text to create interactive pages that visualize your data and allow users to manipulate it. There’s no need to be an SQL wizard, if you even know what that means. Just drag and drop basic database operations such as ‘count objects’ and ‘aggregate’ to create powerful queries. CoStore checks access permissions for every action that is performed by users.You can decide who has access to which pieces of data, and who can change it. Access your data on-the-go using the CoStore mobile application. Your pages are automatically formatted for the limited screen space of mobile devices, while still retaining full functionality. We run the infrastructure necessary for CoStore, which means you don’t have to. Nevertheless, it is possible to run your own, private CoStore installation completely within your organization. CoStore can scale from the smallest data set to large sets spread out over multiple servers. 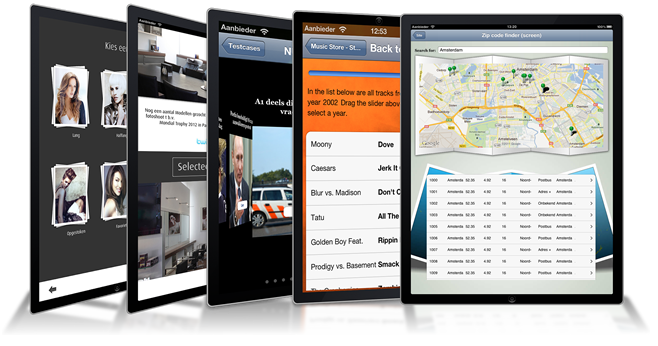 Publish your report, magazine, promotional folder, photobook or newsletter on phones and tablets. New issues are delivered automatically. CoStore allows for fine-tuned personalization and the usage of live data within your publications. Provide your store’s customers with the most up-to-date and interactive information on your products and services. Use CoStore to provide in-store digital assistance or signage. CoStore is an ideal fit for applications that need to provide data on the spot, such as electronic health record applications and trading, marketing or sales data warehouses. CoStore’s powerful data analysis and querying tools are a perfect fit for scientists working with large amounts of (possibly unstructured) data. CoStore provides functionality that is typically absent or difficult to use in traditional database software, such as network analysis, matrix operations, and stats.